Learn more about David from Serkan Özkaya. Operating outside of traditional art spaces, Serkan's work is witty, ironic and humorous. 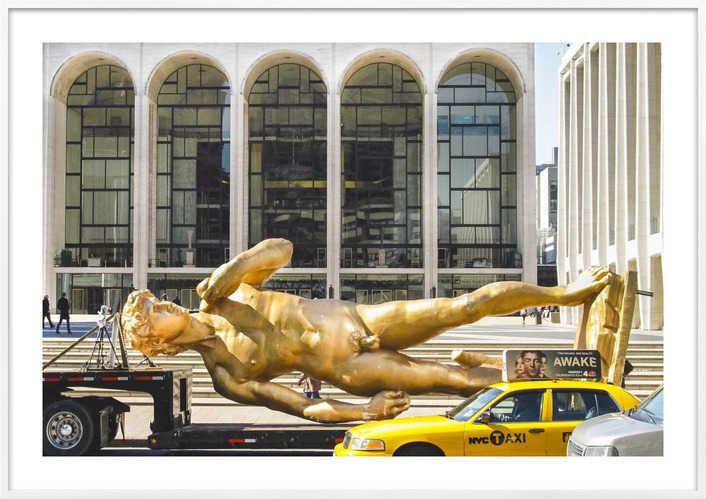 Here he playfully presents modern and old civilizations by depicting Michelangelo's David on the back of a flat bed passing by one of New York's famed cultural institutions, Lincoln Center. Serkan Özkaya is a Turkish conceptual artist interested in art reproduction and typically working outside of traditional art spaces. Growing up in Istanbul, Özkaya was not directly exposed to Western artworks, and copied reproductions in books for practice.